Providing protection for your ears, face & head. Ideal for grass clearing and trimming jobs, this set represents excellent value, including a comfortable hearing protectors (with adjustable pressure up to 20 percent), a mesh visor (providing high visibility and protection against light debris) and a cover. The cover is positioned between the visor and headband, which keeps grass and rain off the top of your head. 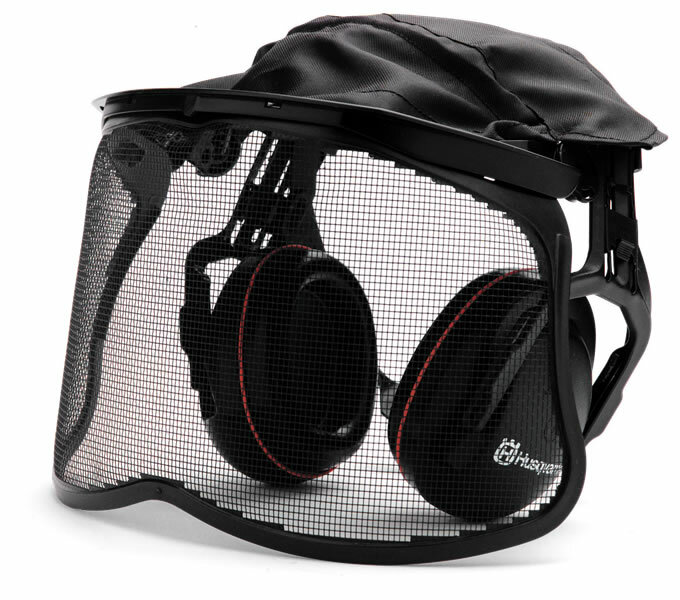 You can also use protective glasses alongside this set to give an extra layer of protection.